Many years ago I learned about the Asch Conformity Experiment. I could explain it, but this video, with footage from the actual tests probably introduces it best. This study highlights the powerful effect that our perception of the consensus around us has on our behavior. In this study it was found the majority of people would deny what they knew to be objectively true if the group around them unanimously denied that truth. People either convinced themselves that their perception must have been wrong because everyone else around them held a different view, or they just went along with the group to avoid being criticized or making waves. Additionally, while only one dissenting voice was enough for others to also break ranks from the group consensus, people who yielded to group pressure served to increase the pressure to conform on those around them by adding another voice supporting the group’s denial of reality. I bring this up because it is in light of humanity’s propensity to yield to the consensus we perceive around us that a number of recent revelations regarding the State and Social Media should be seen. Understood and seen together, these revelations should be quite alarming to anyone paying attention. In this post I will examine recent stories regarding the Facebook “emotional contagion” study, the Minerva Research Initiative, and revelations regarding GCHQ programs and what they mean for the future. 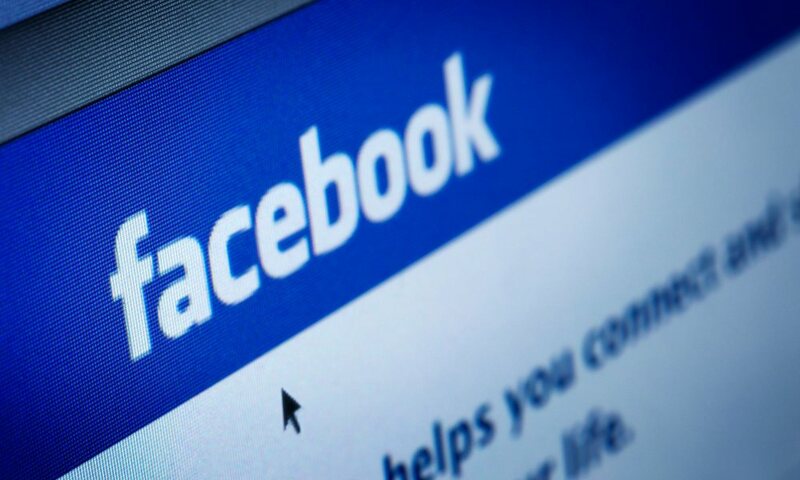 It was recently revealed that the Facebook corporation carried out a social experiment on hundred of thousands of its users. (The actual manuscript published from this study can be found here.) In this study they manipulated the number of positive and negative messages a user saw on their timeline and they observed the impact this had on the nature of the posts the user themselves put forward. The result was that they discovered they could manipulate the emotions of their users through controlling the type of content they saw. People who saw less positive postings posted more negative messages, while those who saw less negative postings posted more positive messages. Before I say more I should just say that as someone working in mental health research, having such a gigantic population that is uploading a vast trove of data, information and interactions at your disposal and open to your manipulation for experiments is just about any researchers dream. However, I believe this study was unethical because Facebook and their Cornell collaborators carried out this research without properly obtained informed consent. Facebook’s terms of service include a clause that states that users release their information for “data analysis, testing, [and] research,” so this study had legal consent, but this is not the same thing as informed consent required by most social disciplines. “Participants” who were manipulated were never informed of this study nor of any dangers it may have posed to them. This research was unethical but carried out anyway for the benefit of Facebook, not its users. Considered by itself, this study might not be that unnerving. In fact, ethical issues aside, similar studies have shown the same phenomenon occurs with text message and other forms of community. But it does act as a proof of concept that someone with the power to control the Facebook feed can influence large groups of people in certain ways. This becomes more alarming when we look at what else was recently revealed. There are two aspects of this initiative that are especially troubling and relevant to note here. First, one of the researchers from the Facebook “emotional contagion” study, Jeffrey T. Hancock of Cornell University, has also received funding from the Minerva Research Initiative. In his work funded by the Pentagon Hancock has been studying the spread of ideas through social media under oppressive state regimes. Where one study tracks “emotional contagion” another tracks “social contagions” or the spread of ideas and popular opinion. The desire to understand the spread of ideas and beliefs in social movements is not being funded by the Pentagon to in a desire to contribute beneficial information to the discipline of sociology, but is to increase the Pentagon’s ability to stop, undermine or control social movements and the spread of ideas that challenge the State. Second, the Minerva Research Initiative is focused in some cases explicitly on peaceful activists, not militants or extremists. The rationale underlying this is that any activist, peaceful or not, who is critical of the state or corporate status quo is on or part of “a conveyor belt to extremism.” Again, studying the behavior and actions of peaceful activists, including their utilization of social media, is being pursued to enable ways for the Pentagon to limit the effectiveness or even manipulate such persons. This isn’t about fighting terrorism; this is about fighting challenges to the status quo. For more on the Minerva Research Initiative check out Unauthorized Disclosure’s interview with Nafeez Ahmed, one of a small number of journalists who has been following this Initiative for some time, or his interview with Abby Martin of RT. While perhaps unethical or unsettling, some might suggest the pursuit of this research isn’t indicative of the State’s desire or ability to exert control over society through social media. I would disagree and recent revelations from The Intercept back me up. I encourage my readers to look at the actual document and read over the extent and scope of these programs. Twitter, Linkedin, Tor, Youtube, Google+, Paltalk, Facebook, MSN Messenger, SMS text messages, Dailymotion, Blackberrys, eBay, IRC, and GSM/Satellite phones are just some of the technologies and social media platforms targeted by these tools. This is clear evidence that governments are not just attempting to monitor social media, and they are not just attempting to silence or discredit dissenters on social media, but they are looking for ways to very directly manipulate social media and to manipulate people through social media to their own ends. Frighteningly enough JTRIG has boasted most of the programs it advertised internally are “fully operational, tested and reliable.” Call me suspicious, but I doubt the NSA does not already have similar programs in place or not also pursuing them. The reality of research into and the weaponization of Social Media is additionally troublesome considering Social Media corporations have proved willing to continue the longstanding tradition of State and Corporate collusion. While many of the corporations implicated in revelations about the NSA’s PRISM program denied their involvement and feigned outrage and ignorance, some of these statements have been proved false. Additionally, Google has moved towards becoming a defense department contractor on the payroll of the U.S. Government. Maybe Google just realized how lucrative war is. Huge U.S. corporations such Yahoo, Google, Cisco and Microsoft have also already proved they are willing to censor their services at the request of foreign governments and their “we were legally bound” stance on NSA programs shows they are willing to work for and with the U.S. government in the same manner. Making things even worse is the reality that in this arena both the State and Social Media corporations are operating behind the scenes with no real oversight. The State hides behind the claims of the need for secrecy to maintain national security. Even government officials tasked with providing oversight are prevented from discussing what they believe the public would be appalled by and others indicate they have been kept in “utter ignorance” regarding the full extent of these programs. Social Media corporations hide behind claims of proprietary technology and algorithms. The public is kept in the dark on how the systems they use work and who really controls them. How does Google decide will be on what page of your search results? How do Facebook and Twitter decide what will be displayed on your newsfeed? According to what criteria do some of the algorithms make these determinations? Can these algorithms be manipulated or specific results altered, and if so by whom? We know, at least with Facebook, there is apparatus in place to alter the newsfeed of hundreds of thousands of people in very nuanced ways with basically no way for anyone to detect this. So who has the power to do this, what scrutiny are they under and who do they answer to? So far the only way the public has become aware of abuses of these powers is through whistleblowers like Snowden, people who the current administration, an administration that promised transparency, and has consistently prosecuted with vigor. Now the State has always looked to use media to quell dissent and shape public perception and opinion in favor of State interests, which often turn out to be corporate interests. This is nothing new. For example, public opinion in the U.S. was so anti-imperialist and anti-expansion that the annexation of Hawaii in 1883 was seen as un-American. However, after a deluge of jingoistic newspaper articles, “Five years later, this consensus evaporated. Almost overnight, it was replaced by a national clamor for overseas expansion. This was the quickest and most profound reversal of public opinion in the history of American foreign policy.” And the annexation of Hawaii was ultimately so that missionaries-turned-sugar-barons could avoid paying a new tax on their sugar being sent to the U.S.
Radio and television media have likewise been used. The centralization of all media in the U.S. has increased the ease with which media is controlled and the danger it poses to everyone. 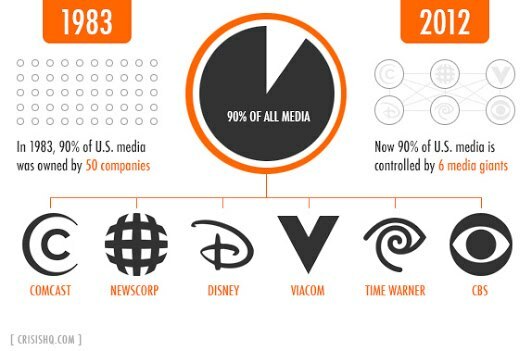 Today in the U.S. six companies control 90% of the media, and directly determine what stories get reported and in what way. To think these forms of media are not already being used to shape public opinion and steer public discourse in favor of State and corporate interests would be absurd. So what’s the big deal about the weaponization and manipulation of Social Media? Social Media has created a space for unauthorized and uncontrolled discourse where the “social contagion” of ideas can spread rapidly. 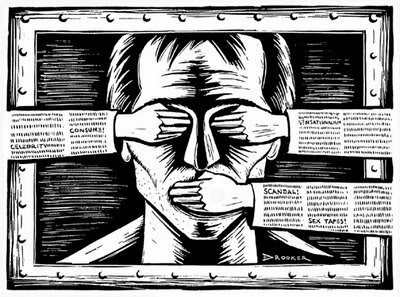 Social Media and the internet in general have also allowed us to connect to alternate sources of information from which to fact check and criticize the dominant narrative being pushed by centralized State and Corporate controlled Media. 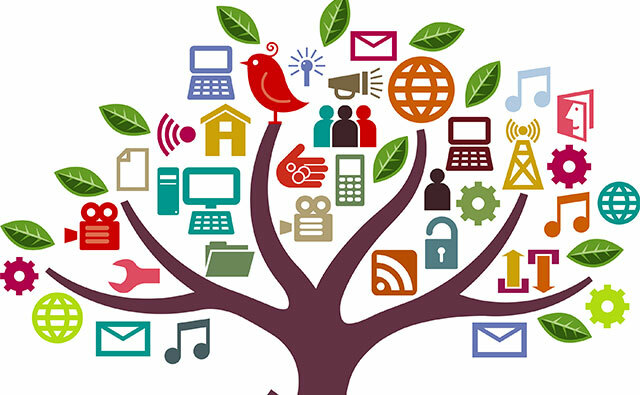 Today, regardless of whatever information or narrative a State or Corporation might be disseminating about a people, a situation, or a policy, I could go online and educate myself by connecting with other people and information available online. This was not possible a couple decades ago without time, travel and serious effort on my part. So, for example, despite media stories consistently being slanted against Hugo Chavez, I could examine his actions and the actions of his administration for myself thanks to the internet, connecting with people on the ground in Venezuela or by reading news sources not controlled by the State or Corporations. Social Media in particular has proved especially important as a platform for silenced and ignored voices. Things we would never consider or learn about have been brought to our attention by connecting with people or ideas via networks outside the mainstream historic media systems. For example, #BringBackOurGirls hashtag on Social Media made Boko Haram’s mass kidnapping an international story. While the State’s use of this crisis to advance its agenda regarding the militarization of the African continent, one would not have expected this story to reach international levels without Social Media. Social Media then represents a threat to the ability of the State to exert control over its populace. It’s only natural then that the State would then seek to understand how Social Media operates and how to manipulate it thus bringing Social Media into their already considerable influence it has over other existing forms of media. Just as the advent of drones has sparked a revolution in warfare and policing, so the State’s efforts to manipulate bring Social Media under its influence will also represent a revolution in the State and Corporate ability to influence and control society. The Facebook “emotional contagion” study proved that large scale secret manipulation of Social Media and of people through Social Media is possible. The Minerva Research Initiative has and will continue to increase the State’s understanding of and ability to influence and undermine social movements, civil unrest and peaceful activists. The GCHQ programs are evidence that the State has already developed ways to secretly manipulate the content of Social Media in many ways. As it stands, it is currently possible for certain persons to secretly manipulate the information millions of people take in, crafting it to suit whatever agenda they have in mind, in real-time. We have no idea who these people are, who they answer to, or what apparatus, if anything, holds them accountable. This all adds up to the weaponization of Social Media, and we are just at the beginning of this new push for control by the State. What makes this new situation so frightening is that underlying all of this is what the Asch Conformity experiment pointed to: the incredible power of our perception of consensus. If it only took three or four people unanimously denying reality to get another person to yield to group pressure and also deny reality, what happens when a person sees a story, message or video with literally millions of views, hundreds of positive comments, likes and other evidence of agreement and consensus by their peers? How many people can be scared into silence or convinced to abandon their true perception of reality due to a false consensus being presented through Social Media? How could a person ever consider the alternatives to the status quo if every story they see through Social Media and other media about these alternatives is a straw-man caricature of these alternatives or a story that demonizes and embarrasses people who espouse them? Because of this, secret State manipulation of Social Media does not just hinder or cripple Social Media’s ability to allow us to step outside of State and Corporate controlled narratives but will also expand the State’s ability to influence people through Social Media. Due to the prolific use of Social Media, previously impossible Orwellian forms of shaping public perception about the world are now possible, leaving us to consider the possibility of a rather dystopian future even worse than what we have now. We would do well to pay attention to this situation, prepare for more research and development from the State on this issue, and do whatever we can to enable and require transparency and fairness regarding the flow of information through Social Media. This entry was posted in Politics and tagged capitalism, Facebook, Facebook Study, GCHQ, JTRIG, NSA, Propaganda, Social Media, State and Corporation Collusion, The Minerva Research Initiative. Bookmark the permalink.